More than 1,300 workers landed new jobs through professional conversion programmes last year, a rise of 20 per cent from the previous year. The programmes were started to help jobseekers acquire new skills so that they can switch industries or specialise in a different field. 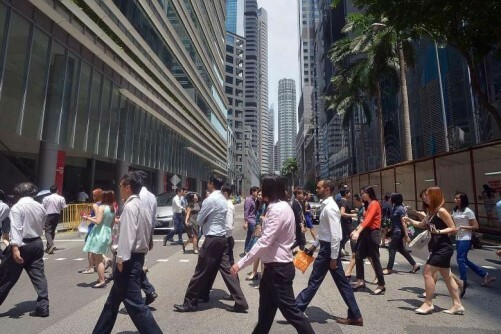 The improved success rate is encouraging, Manpower Minister Lim Swee Say said in Parliament yesterday, when he gave an update on the Government's efforts to support jobseekers. Mr Zaqy Mohamad (Chua Chu Kang GRC) had asked about the programmes' take-up rates. Mr Lim said the 1,300 successful candidates form about half the pool of people whom the programmes tried to match with jobs. The rest may have found work on their own or through other means, like the National Jobs Bank. "Our success rate of helping jobseekers to find jobs... has been fairly balanced and inclusive," Mr Lim said, giving a demographic breakdown of all the successful jobseekers helped by the Manpower Ministry's Adapt and Grow support programmes. About three in five were rank-and-file workers, while the rest were professionals, managers, executives and technicians (PMETs). Around two in five were 50 or older. A third of successful jobseekers had been out of work for more than six months, putting them in the category of the long-term unemployed. Mr Lim acknowledged that older PMETs may find it harder to get a new job in a new field, noting that most of those who change jobs end up at the bottom of the ladder. This may discourage older PMETs from embarking on a new career, he said. He hinted that the Manpower Ministry might announce measures to improve professional conversion programmes to address this challenge. These could be unveiled during the debate on its annual budget in Parliament next month. The conversion programmes began in 2007. Since then, with economic restructuring and slowing local workforce growth, the risk of mismatch between jobseekers and jobs created has risen. To minimise the risk, the Government recently doubled the number of conversion programmes to cover more sectors. There were 50 programmes at the end of last year, compared with 22 at the start of the year.